The village of Carbost on Skye is home to the island’s only distillery which produces an award winning, wonderfully powerful Island malt bottled at above average strength.The soft, peaty process water is drawn from twenty-one underground springs that rise from Hawk Hill (Cnoc nan Speirag) beside the distillery. These same springs have fed Talisker since 1830 when the distillery was established. 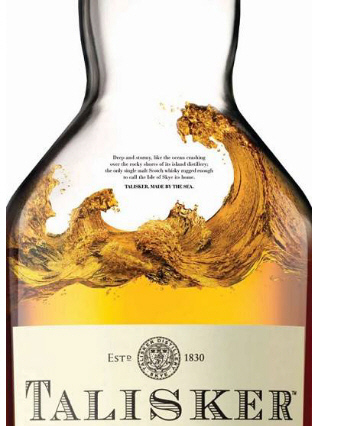 Talisker embodies all the spirit of this rocky, storm-lashed island and its strong, steadfast people. Skye’s only distillery this may be, but like the men of the island the malt has character enough for ten – a truly wonderful whisky!